Over the river and through the zoo ... a holiday treat for me and you! 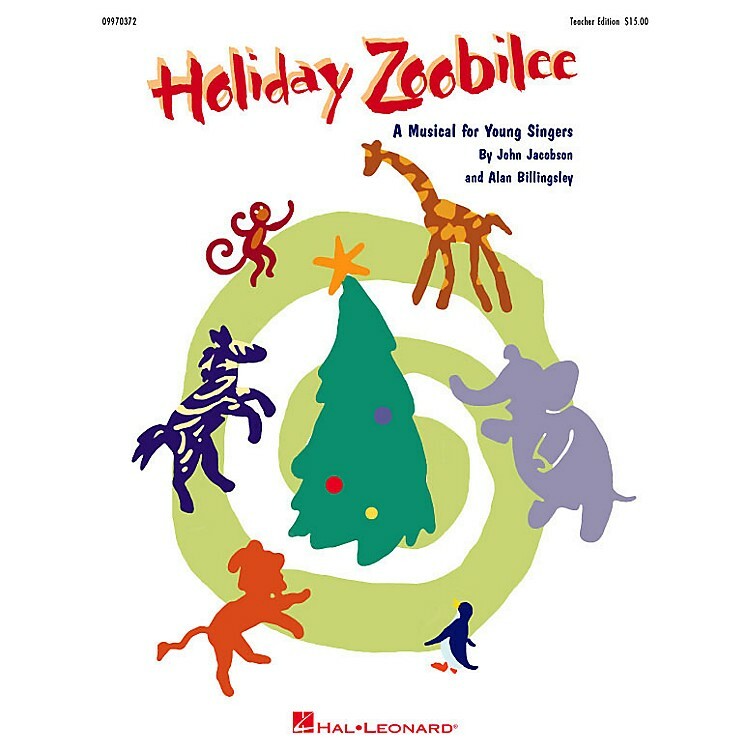 Join the laughing hyenas, swingin' monkeys, an elephant that (usually) never forgets and a host of other animals as they prepare for the holiday season. But why is Mr. Zookeeper so sad? Celebrate the true spirit of the holiday season as the zoo animals discover how to make their special friend smile again. This entertaining and easy-to-prepare 15-minute musical for primary grades will delight audiences of all ages with five original songs, clever rhyming dialog, choreography and staging tips ... all included right in the Teacher Edition. The Reproducible Pak provides the vocal lines, lyric sheets and dialog and the professionally orchestrated ShowTrax CD will provide that perfect final touch! For a real budget-saver, choose the Classroom Kit for all three components. Songs include: Holiday Zoobilee, Jingle Bell Swing, Together, An Elephant Never Forgets, Over the River and Through the Zoo.